Its familiar sound can soothe listeners' ears or make them want to get up and dance. In many families around the world, it is the first instrument young children will learn to play. It incorporates music, art, and expression into everyday life. It even blends perfectly into the design of any home. Because of these reasons and more, upright pianos are among the most popular, classic instruments, and for many people, it is an essential investment. But it's also a big purchase - literally. Since there are such a wide number of models and styles of this instrument available today, purchasing upright pianos may seem like an overwhelming experience if you are not quite sure just what you want. However, it can be quite easy to narrow down the options once you get started. You can find a number of wonderful upright pianos that will be perfect for your home. All you have to do is make a few key decisions. The first and most important decision is the purpose of the piano. When buying a piano for your home, a major deciding factor will be the style and look of the instrument. Though its classic sound is ultimately the most important element, you want a piano that will complement the current style and décor of your home. Once you decide where the piano will go in your home, take a few snapshots of the room with you when you go shopping to be sure you find the piano that's just right in size and style. Your buying priorities may be a bit different when shopping for upright pianos for concert or performance purposes. If you are looking for a piano that will captivate an audience, you will want to strive to find one with a full, rich sound. 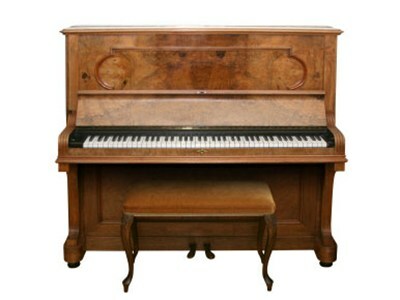 If you live in the Melbourne area and you are thinking of purchasing an upright piano, http://PrestigePianos.com.au is the place to go for great deals and friendly, personal service. We are Melbourne's oldest supplier of Yamaha pianos, and we maintain the same commitment to our customers as the day we opened in 1973. We carry a wide range of styles and our employees will strive to help you find the perfect instrument for your needs. Don't wait - make your way to Prestige Pianos and Organs from Melbourne today to find the best upright pianos!